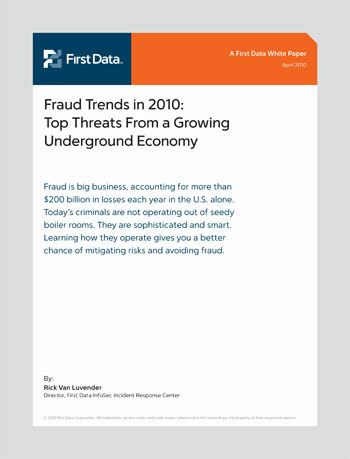 First Data published an incredible paperPDF regarding the sophistication of electronic fraud. I highly recommend taking a look at it for anyone in the payments or IT industries, and anyone interested in learning about how advanced and organized cyber-crime has become. More than any resource I’ve seen before it, this paper gives a clear and easy to understand description of the current state of electronic crime. I was in Mexico a few weeks ago and I made the mistake of withdrawing $80 from an ATM. The reason that this was a mistake is that the ATM dispensed US dollars. Being in a tourist area, I assumed that this was a US ATM. I was unfortunately very wrong. Exchange rate to transfer my $80 to about 900 pesos – 8% cha-ching. Exchange rate to turn my 900 pesos back into USD – 8% cha-ching. Adjustment fee (no idea what this one is) – 3.5% ch-ching. Finally I was charged a non-Chase ATM fee (which I expected, more or less) – $3 cha-ching. Conclusion… 23% to withdraw US money from a Mexican ATM. I went back to the ATM and not once did it say anything about any fee whatsoever, not a fixed fee, let alone a percentage 3 times in a row. Don’t withdraw from foreign ATM’s (not likely to be feasible). Don’t withdraw money in your own currency from a foreign ATM. There are going to be ATM fees even if there aren’t any listed. If there are no fees listed, there’s a reason why they’re not listed! Most of us are in the wrong business! 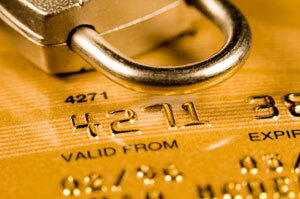 Since I have became involved with PCI-DSS several years ago I have always had a major complaint about PCI-DSS. Merchants do not have protection from liabilities if they take the steps to become compliant! Now before QSA’s light their torches, let me just say that I completely understand and agree that PCI Compliance ≠ Security. Nevertheless, from a business perspective it’s hard to take a program like this seriously when there is no real benefit from becoming compliant. One can always argue that security is a benefit, but in reality it’s not unless you actually prevent a data loss with it, and there’s no measurable monetary benefit of something that you don’t know was prevented. I do have a strong belief, which I think is further illustrated by the slow adoption rates of level 3 and level 4 merchants, that most merchants don’t take PCI seriously. Losing customer data is nothing to be joking about, but they way PCI has been implemented with liability dumped on merchants and processors, and the fact that compliant businesses get no protection over non-compliant ones, is laughable. 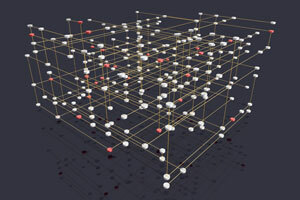 Independent of the PCI Council which they helped start, MasterCard now requires security scans for all merchants even if they don’t process on the Internet or over an IP connection. 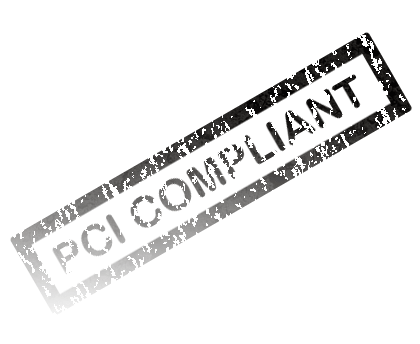 How can PCI possibly be taken seriously if the founding companies create independent standards after they start an organization specifically to make sure they all have the same standards? Washington state just passed a law (HB 1149 pdf) that effectively legitimizes PCI, or at least legitimizes much of the cost in becoming compliant. What this law will do is grant a merchant safe harbor from liabilities resulting from a data breach, provided that the merchant was PCI compliant when the breach occurred. 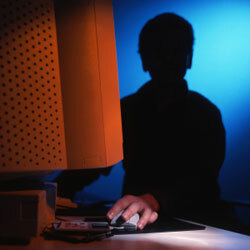 It also states that the breached organization’s compliance cannot be revoked as a result of a breach. Basically, if you were compliant at the time of the breach, you are still compliant after the breach. This sort of retroactive revocation of PCI compliance has occurred in several major breaches. From my observation, this law is the first breath of reason that I have seen pushed towards PCI compliance. Business owners (at least in Washington) can look at PCI and assume, if we become secure and become PCI compliant, we’re no longer as-liable if some extraordinary circumstance results in us losing data. The proactive response is: let’s get this taken care of, lets make sure that our data is secure, and let’s get compliant! Currently that same business owner is checking [YES] to all the boxes and emailing in their questionnaire. They’re asking, so it doesn’t matter if I’m PCI compliant, I’m still fully liable for any costs and damages if someone steals my data? Hmm… [YES] to all… DONE! With legislation like this there are pitfalls, and probably some big ones. First off, the law states that merchants must be validated compliant within 1 year of the breach occurring. 1 year is far too long for a business that was compliant to be assumed to be still compliant. Additionally, this doesn’t address the fact that the business could quite easily take steps to actually become secure, but intentionally remove them for operations sake once they pass a security scan or self assessment. Second, the law is only for Washington which makes it worthless in all practicality. However, the fact that one state is passing it may push Visa/MC/AMex/Disc to look at adding real protection to PCI. Third, the law doesn’t address actual costs to consumers such as fees from bounced checks or other bank and credit associated fees. Merchant’s would most likely still be liable for many of these fees (assuming that there are some) if they suffered a breach. Lastly, the law would justify costs for becoming compliant, but could put huge costs on someone else (and it’s unclear who). If the merchant does suffer a sizable breach, it’s clear that there are real costs in re-issuing cards. What’s not clear is who would end up paying for them if this law is passed. Until this law is adopted by the issuers or put into effect on a national level, the benefits from it on a widespread scale, are going to be little to none. I’m openly against government regulation in any industry, yours or mine, so I do hope that card issuers and PCI security council take a serious look into adopting similar measures directly into PCI. I think that providing some sort of protection like this would greatly legitimize PCI especially in the minds of the business owners that are forced to become compliant and feel that PCI does not give them any benefit. 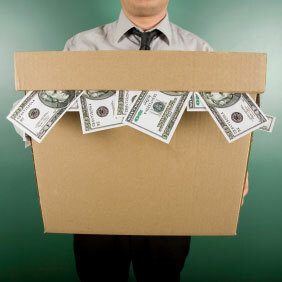 It’s time for PCI to give small business owners a real reason to become secure and to become PCI compliant. A measure like this law is that reason! Plastic cards have become the normal way for businesses to accept payments. Electronic transactions passed up cash and paper checks a few years ago, and are now so integrated into our lifestyles that carrying cash is far less common than several plastic cards. With this complacency to the idea of credit cards, many have become equally complacent on how much of a privilege it is to be able to take your customers card. Let’s quickly break down what is really happening when your customer hands you their card for a purchase. Your customer – To start off with, your customer is granting you an enormous amount of trust that you will charge them the correct amount for their purchase, and that the product you sold them isn’t a complete piece of crap. Let’s face it, in reality you could just type in a number much higher than the actual cost, and they may not notice for several weeks. If it’s a debit card, the money’s completely gone from their checking account! With every transaction, your customer is basically giving you the key to their bank account, telling you to take the money yourself. How often do you hand your wallet of cash to a cashier, and just tell them to get it themselves? Your processor (or acquirer) – Next, let’s look at the service your merchant account provider is actually providing you. Yes, they magically move the money from your customer to your bank account. However, that’s the least significant role that they play when you process a credit card. What a processor is really doing is granting your business instant credit, every time your customer makes a purchase from you. Let me word this in another way: when you accept a payment, your processor is depositing the money into your bank account on 100% credit. In 99% of cases, the processor has no collateral against the money they are giving you. Your processor may not see any revenue from your processing for 2 months, and they’re not collecting a dollar of interest on that money while they wait! Would your bank allow you to walk in every day and give you cash for your invoices only on your word that you’ll pay them in a few weeks or so, without asking for interest… Probably not. If you take into consideration that there are millions of businesses in the US, and that some large businesses accept millions of dollars in credit cards a month, it is truly remarkable how much credit is continuously issued. Sure, there’s sometimes errors but fact that billions of dollars of credit is available at any time, without further qualification, without any input from a bank, and considering how smoothly the entire system works, it is simple amazing. In the age of today, it’s easy to overlook the amount of trust that merchants receive when they do something as simple as swipe a card through their terminal. In addition, many interchange regulation activists skew the actual role of how processors fit into the merchant account industry, and where the fees that you pay each month actually go. Next time your business accepts a card, just remember the amount of trust that you are given for that money to end up in your bank account. It’s far more remarkable than just some electronic transfer between your customer’s bank and you. This last week, a social networking company Blippy, notified the world that at some point they suffered a small data breach involving a handful of their customer’s credit card numbers. Blippy is a service that allows people to share and discus, the purchases that they are making in near real-time. Basically, every time a Blippy user makes a purchase using their credit card, it shows up on Blippy. A little bit like twitter, a user can also embed their blippy feed on their blog, facebook profile, other social network, or website, and their followers can track and discuss every purchase that they make. For this to work smoothly, Blippy obviously needs to store and access some very sensitive information. This data breach looks like it was extremely small, completely insignificant for realistic purposes, but I think it brings up some very strong points that should question card issuers stance on protecting their card holders. The reason that Visa and MasterCard should provide some sort of protection for merchants, is that if card holders are stupid enough to share their credit card and bank login information with a social networking site such as Blippy, there’s really no reason that they should be continue to be protected at the expense of merchants. It’s simply absurd to think that merchants should bear the cost of people so ignorant that they would give their banking information out to some random website. “Social networking” and “security” are 2 terms as synonymous as fire and water. One could always argue that Blippy should have kept the information more secure, which is obvious, but the real problem here is that credit cards are not meant to be used in this manner. It’s just baffling to me that someone would actually enter their card or bank login into any site that they do not have a close relationship with, or are making a purchase from. Then to expect their bank to cover them from unauthorized charges, is just beyond any reason. It’s reckless on Blippy’s part to make a service based on and requiring such sensitive information, and it’s even more reckless for card holders to share this information. To me, this service is clearly crossing the line where credit cards were not mean to and should not go until major modifications to security and merchant protection are established! In general, it’s important to remember that you’re never responsible if someone uses your credit card without your permission. As a merchant and a merchant service provider, I don’t want to end up taking a stolen card because a card holder decided to hand out their banking information to a social networking site, who thinks that chargeback expenses are somehow covered by a magical chargeback fairy. It’s the merchant that accepted the card who eats the cost of your poor programming, and complete lack of data security. I think Visa and MasterCard need to step in right now and quash this type of service, and specifically Blippy. It’s really simple, as Blippy is not involved in any part of a credit card transaction, they have no right to a card holder’s transaction information. Blippy has issued resolutions to prevent this from happening again, but realistically their service should be canned now! My hat goes out to anyone who can get a $12M investment in a service that lets people share their purchases with the world, but it’s time that this is stopped before it gets out of hand. Credit card fraud and online ordering fraud has hampered ecommerce merchants since the first credit card payment was taken over the internet. Because fraud is still successful, and because there is virtually no way to go after someone you suspect of fraud, it is still a plague to website owners trying to run a business on the internet. Online fraud is especially troublesome to online retailers, because they end up losing twice, first when the merchandise they shipped is not recoverable, and second when the real cardholder makes a chargeback. Now they lose the merchandise and the money they would have collected for it. There are numerous fraud screening applications designed to help ecommerce merchants prevent accepting and shipping fraudulent orders. However, many ecommerce sites aren’t even covering the most basic of fraud screening principals. Here is 10 items that should be checked on every order before shipping. If you do nothing else for fraud screening at least cover these basic principals to help prevent some of the more obvious fraud. If any of these are true, it’s a good idea to further review the order, or contact the person making the purchase before shipping. You cannot require an ID for a Visa transaction??? After reading an article this morning, the author states that merchant’s are prohibited from asking for an ID to process a transaction. Sounding completely ridiculous, I decided to further investigate. I stumbled on a Visa operating regulation that I was not aware of. “You cannot require an ID in order to complete a Credit transaction.” Furthermore, you cannot decline or refuse a transaction if your customer refuses to provide an ID. Although Visa rules do not preclude merchants from asking for cardholder ID, merchants cannot make an ID a condition of acceptance. Therefore, merchants cannot refuse to complete a purchase transaction because a cardholder refuses to provide ID. Visa believes merchants should not ask for ID as part of their regular card acceptance procedures. For unique transactions processed in a face-to-face environment (with the exception of truck stop transactions and card-read transactions where a non-signature CVM is used), request personal identification of the cardholder in the form of an unexpired, official government document. Compare the signature on the personal identification with the signature on the card. Verify that the customer is the Card-member. Cards are not transferable. It’s actually hard for me to believe that Visa goes this far in trying to protect their cardholder’s convenience at the expense of their merchants being exposed to potential fraud. I strongly recommend checking the ID of every card holder. No regulation prevents a merchant from asking for an ID, and I can’t imagine a customer seriously refusing under any normal circumstance. Merchants are not allowed to ask for an ID on “PIN” debit transactions where a customer enters their PIN number into a pinpad. For signature debit, where the card is processed like a credit card, treat the transaction just like credit and ask for an ID. Discover’s site requires registration, and I was unable to register with the Discover numbers of the 4 merchant accounts that we have. If anyone has a copy of Discover operating regulations, I would love to see them.